Often. 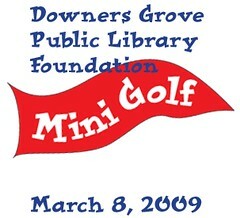 But I had a great time playing Library Mini Golf at the Downers Grove Public Library on March 8, as did hundreds of other people on LMG’s biggest course yet (a full 18 holes across two floors). Check out the pictures from the day in my Flickr set to see just how much fun we all had. I’ll be including the event as a case study in my next issue of Library Technology Reports on gaming in libraries, which I’m currently writing. 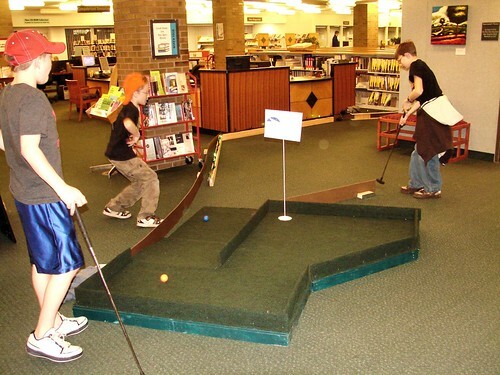 The DGPL staff, Friends group, and the Library Mini Golf crew (Rick, John, and Bob) all did an amazing job on this totally amazing event!